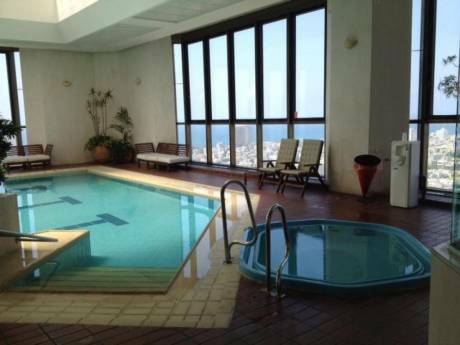 We offer a fully furnished and renovated 125 Square meters apartment in the center of Tel-Aviv. The apartment is on the 1st floor (with an elevator), very quite and full of light. The apartment includes 3 bedrooms, living room, dining area, 2 balconies, 2 big bathrooms, a new fully equipped kitchen and lots of toys and books. 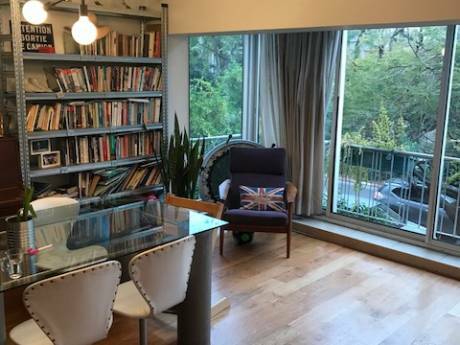 We love our home and it's location, only 2 minutes walking distance from the famous Sarona market and it's lovely environment. We are a small family with 2 children, 6 and 11 years old. We are both freelance professionals, Shiri is a real-estate agent and interior designer, Uri is a composer and sound designer. We already swapped our home several times in August, which is the best time of the year for us to travel. We enjoy traveling and exploring new countries and cultures with our children. We will take care of your home as if it was our own. 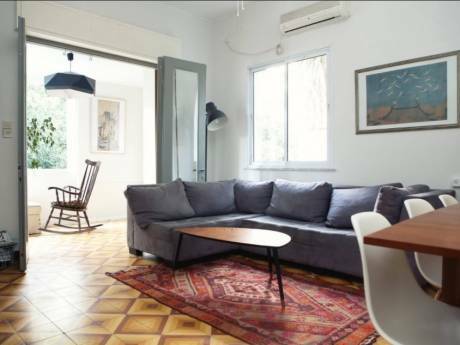 We live in a desirable and lovely neighborhood in central Tel Aviv, 10 minutes walking distance from the beach and all the central attractions, 5 minute walk from Dizengoff center and the beautiful new "Sarona" Park. The neighborhood is friendly with lots of young people and families. Markets and supermarkets, and many nice shopping streets around. The best restaurants of Tel Aviv are near, Israeli and foreign cuisines, Cafes with music and entertainment in the evening. All public transportation is near but the best way to explore the city is by foot or bicycle which we can provide. It is also very convenient to use the city bike rental service.